Cohen's highly anticipated appearances begin Tuesday with a closed-door interview before the Senate Intelligence Committee. A hearing Wednesday will be public and televised. WASHINGTON — President Donald Trump’s former lawyer and fixer Michael Cohen returns this week to Capitol Hill, where he is expected to deliver specific and scathing testimony about his former boss’s business interests in Russia and a scheme to buy the silence of adult film actress Stormy Daniels before the 2016 election. 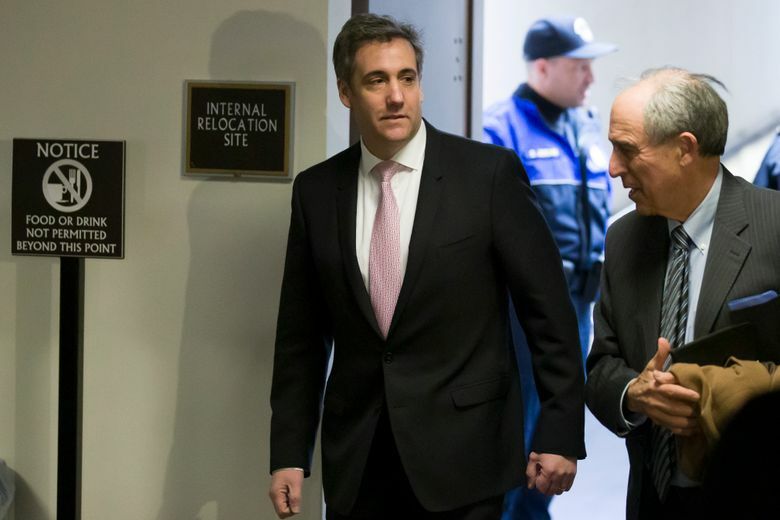 According to a person familiar with his planned testimony, Cohen intends to paint Trump as a liar, a cheater and a racist during interviews with three congressional committees, two of which will take place behind closed doors. He is expected to share anecdotes about Trump’s behavior – Daniels alleged she had an affair with Trump years ago, a claim the president denies – as well as his financial dealings, the person said. The person spoke on the condition of anonymity because they were not authorized to describe Cohen’s expected testimony. Lawmakers are likely to ask Cohen to explain his knowledge of a possible Trump Tower project in Moscow – the details of which he previously misrepresented to Congress, precipitating his guilty plea in federal court late last year. He was sentenced to three years in prison for those lies, along with financial crimes, and is scheduled to begin serving his time in May. Cohen’s highly anticipated appearances begin Tuesday with a closed-door interview before the Senate Intelligence Committee. He is scheduled to testify publicly on Wednesday before the House Committee on Oversight and Reform, and again in private on Thursday with the House Intelligence Committee. Both intelligence committees are expected to press Cohen about how long into the 2016 presidential campaign he continued to pursue plans for a Trump Tower project in Russia. Lawmakers also are expected to ask Cohen, who was closely involved in Trump’s financial affairs, whether any foreign actors – Russian or otherwise – may have leverage over the president, his children and close associates, or their business interests. Although topics related to Russia will be off-limits during Wednesday’s public hearing, it is possible that that testimony will have the most significant impact on Trump’s reputation, with Cohen expected to offer an unflattering, behind-the-scenes portrait of the president as a person and businessman. Cohen’s testimony has been a long time in coming. He had agreed to speak with the House Oversight panel in early February but canceled as the date approached, citing alleged “threats” the president had made to him and his family. Cohen canceled planned closed-door interviews with the intelligence committees over health issues and unspecified details involving the investigations of Russia’s interference in the election and whether Trump’s campaign conspired with those efforts.